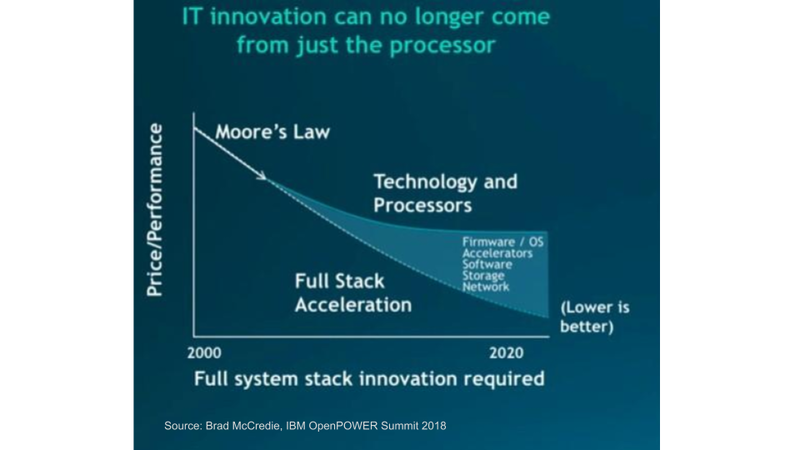 At MLE we share the vision of technology leaders such as IBM and Xilinx: General purpose compute architectures are running out of steam. Domain-specific compute architectures have become a necessity to deliver higher compute performance. 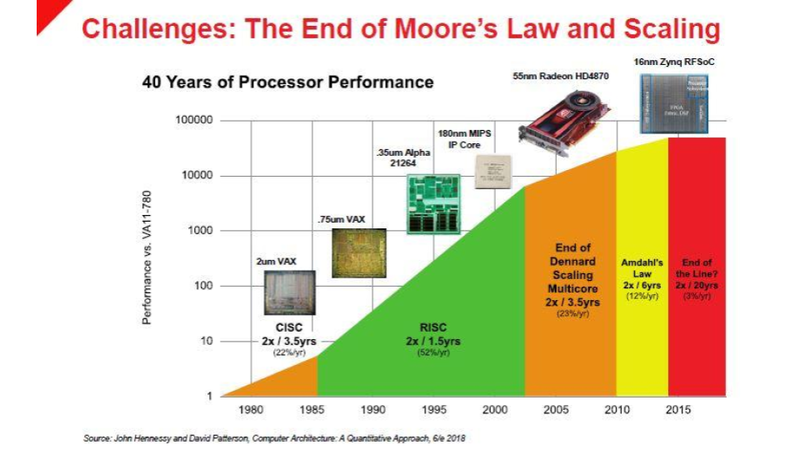 This drives compute-hungry applications such as Autonomous Vehicles or Datacenter Analytics or Deep Neural Network algorithms for Edge Inference to adopt Field-Programmable Gate-Arrays (FPGA), either as highly integrated, single-chip Adaptable Compute Acceleration Platforms (ACAP) or as reconfigurable compute companions tightly coupled to powerful CPUs via links that deliver massive bandwidth at very low latency. is supporting customer projects with deep expertise and hands-on design services, offering pre-validated FPGA subsystems of FPGA blocks integrated with (open source) software, applying and promoting novel FPGA design methodologies for increased design productivity, including High-Level Synthesis, and fostering FPGA education via strong relationships with teaching and research engagements at Universities. 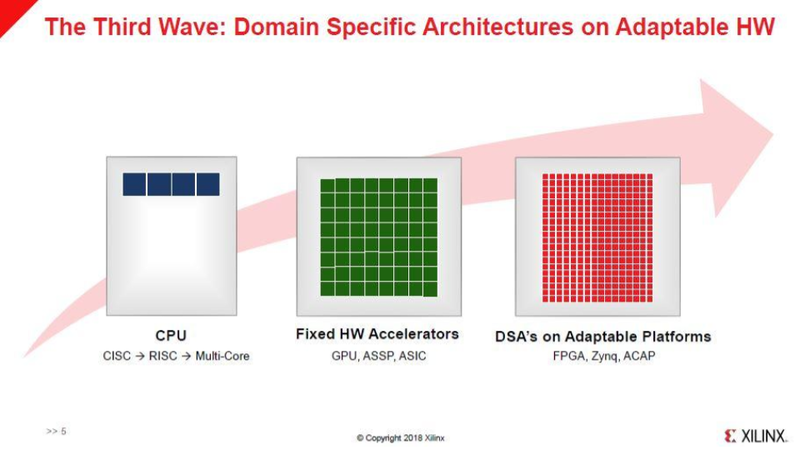 Over the last 30 years FPGAs have demonstrated significant values in applications which need highly-flexible programmable silicon across a wide span of markets and technologies - from consumer to cars to the cloud. 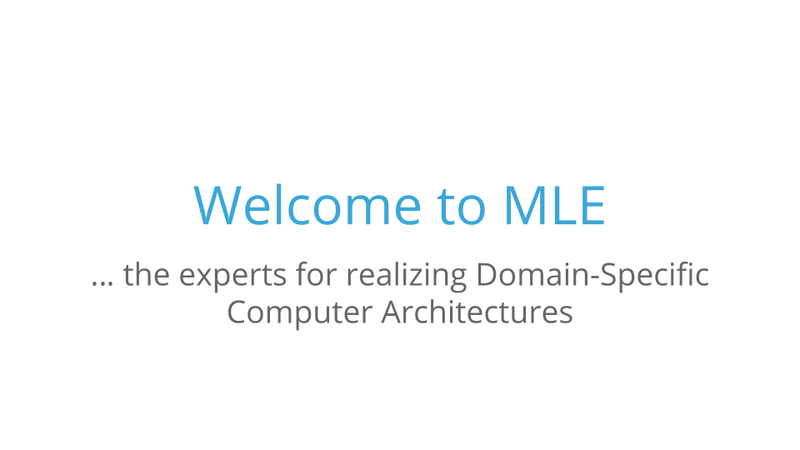 MLE has successfully delivered solutions for classical or high-speed connectivity, software and system acceleration, Digital Signal Processing or Deep-Learning. We are proud that our customers and partners see in us one of those rare teams of compute architecture experts and system design engineers. We have demonstrated to deliver cost-efficient FPGA solutions and, thereby, have become an industry-trusted source of technical expertise in IP Core integration, FPGA acceleration and system realization. The team behind MLE has a history of working on programmable logic design, embedded system design, reconfigurable computing, Linux kernel development, and heterogenous networking technology for embedded electronics.